The Imam of a Mississauga mosque says he’s become the target of online threats after working with the Peel District School Board on religious accommodation issues. 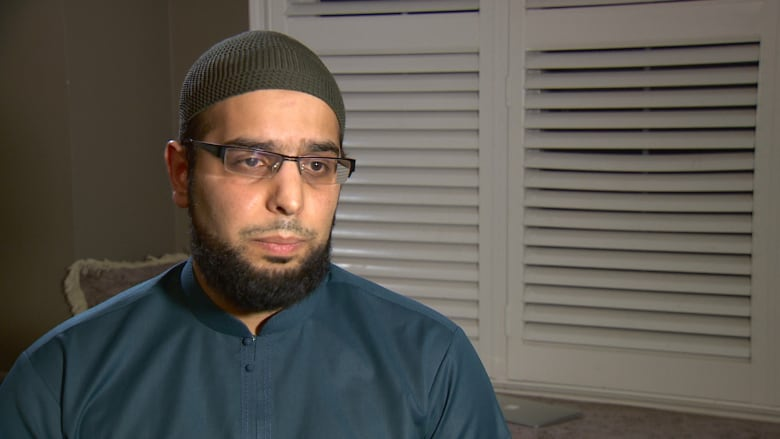 A Mississauga imam says he's become the target of online threats after working with the Peel District School Board (PDSB) on religious accommodation issues. Imam Ibrahim Hindy says he opened his email inbox on Friday to find an image of hanged Muslim men. He's also received messages that refer to his mosque, the Dar Al-Tawheed Islamic Centre, as a "satan safe house" that needs to be "burned to the ground." "I have thick skin. I kind of expect to get threats," Hindy said in an interview Wednesday with CBC Radio's Metro Morning. "But I didn't expect to get them from people who walk on my streets and call themselves Canadian." In a Facebook post published Tuesday, he elaborated, writing that "This is not Canada. We have to make this stop. Peoples' lives should not be threatened for speaking to their local school board." Hindy is a part of the PDSB's multifaith group and provides advice to the board about religious accommodation issues. His name has become more well-known in Peel over the course of the last school year as two accommodation debates rocked the board. The first one came in the late fall and hinged on whether Muslim students should be permitted to write their own sermons. More recently, an approximately 20-year-old policy that permits Muslim students to use school space for Friday prayers whipped up a storm of controversy among what PDSB chair Janet McDougald described as a small but vocal group. In March, people opposed to allowing Muslim students space for prayer disrupted a board meeting, shouting derogatory comments about Islam. 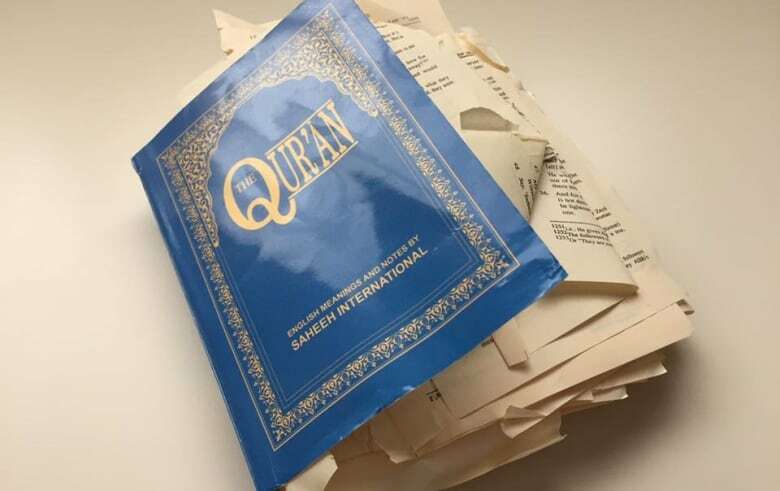 One attendee produced a Qur'an, which he proceeded to rip up and throw on the floor. Legally, schools are mandated to provide reasonable accommodation when requested by any protected group. Hindy said that although the Friday prayer issue reached a boiling point in the Peel region, he views the threats he's begun receiving as part of a bigger problem. "It's a much bigger issue. It's not really about who's doing it or why they're doing it, it's about a culture of hate," he said. "This is an attempt to destroy, to tear apart the social fabric. Extremism, whichever community it comes from, is trying to turn people against each other." In his post, Hindy described being exposed to the propaganda of hate groups like ISIS and Al Qaeda as a young man and seeing firsthand how it "destroyed people." The threats and hatred being funneled his way are no different, he said, arguing that the "strongest form of resistance" is "for good people to get together and stand up." The Peel school board has also responded, saying in a statement that "this shows us how much work we have to do together to create a truly inclusive community." Peel police confirm they are investigating reports of a threat against Hindy and will be stepping up their presence at the mosque. "We are treating this incident very seriously and have allocated the appropriate resources which include increased patrols at the Islamic Centre," they said in a statement. For his part, Hindy called on like-minded people to band together against hate. "This is a call to action. I am going to create an organization where people from all faiths can come together and defeat extremism in all of its ugly forms," he wrote. "Whoever you are, and whatever faith you follow or don't follow, I am willing to work with you. The future of our country is at stake."